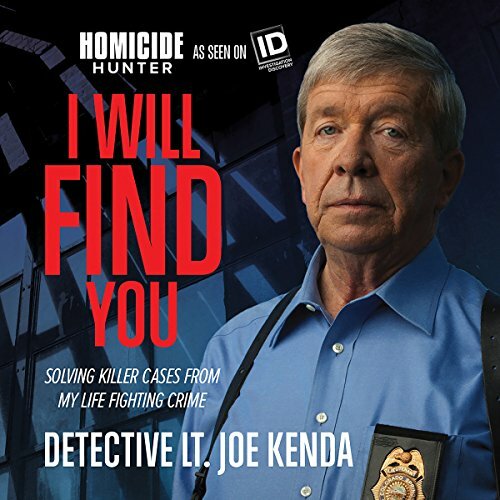 In I Will Find You, the star of Homicide Hunter, Lt. Joe Kenda, shares his deepest, darkest, and never-before-revealed case files from his two decades as a homicide detective and reminds us that crimes like these are very real and can happen even in our own backyards. The tales in I Will Find You will shock you like the best horror stories - divulging insights into the actions, motivations, and proclivities of nature's most dangerous species. 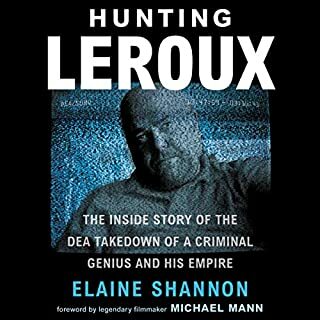 If you’ve worked in Kenda’s occupation for a lengthy period of time, it’s a tough book to listen to at times. Graphic recollections of incidents aren’t the really scary parts of this book. Rather it’s the long term impact it has on kenda and cops just like him. Kenda is a committed man of the law who sees it as a genuine struggle to bring down the bad guys. His commitment is undeniable and nor are his results. I’m stunned at the number of murders in Colorado Springs. I’m stunned at the number of autopsies kenda went to. I highly rate this book. Some of the time when an author narrates their own work the outcome isn’t the best but kenda nails it from start to finish. Joe Kenda is the guy that you have on your dream dinner party guest list. I'm only halfway through this but I'm fairly sure I'm going to cry when it's finished. I could listen to Kenda talk forever. 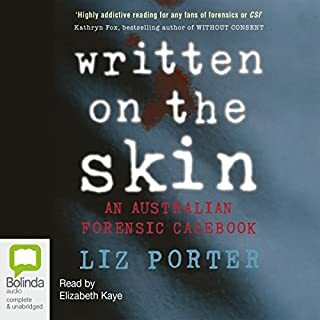 Fascinating recount of grisly, sad, or strange crime solving cases, delivered with honesty and at times, laugh out loud dry humour. You are amazing Joe Kenda! You tell your life story so well, I can see it in action, Stero in my imagination. my daughter has some pretty life threating issues and a terrible disorder called Mitochondrial COX15. this book helped me be able to stop hurting inside for just a little while and escape into someone else's life. I am a true fan of true crime and I beg you to write and present another about your life. You are truly one interesting human being and you should be commended for the work you put into solving crime. I am truly sad that the book is over!!! Feels like I have had another life as a detective. Feels like I have lived as a detective. A marvelous life that not everyone have a chance to have. I was expecting something like "evil has a name" but this is totally different. It feels like an extraordinary journey of life! Have watched Homicide Hunter so I knew it was going to be great. You are such a very faithful soul and your wife & children equally amazing. Thank you for letting us into your world and for all your truthful accounts of the experiences you endured. I hope you have peace in your lives forever more. Bless you all. As a long standing fan of his TV show I bought both the Kindle book and the Audible Book. This is Kenda at his best. Several of his stories i recognized the TV episode. Many of his stories i recognized them from news coverage. I live in Denver area and so many made the local news here. I must admit that I have a school girl crush on the actor who portrays him in the TV series. Would like to read more about his private life and his wife, Kathy. She obviously spent a lot of time waiting for him to come home each day. Kenda is definitely one of a kind and a dedicated law enforcement officer. He solved more than he didn't. A cop"s cop. If you are a fan of his series you'll love this book. I'm very pleased that he has narrated the book himself. I'm an all things Joe Kenda addict. Snatched up this book as quickly as possible because I can never get enough. It's better than the TV series. He's much more real and discusses many other parts of his life, which only make me love him more. He has a genuine, down to earth way of telling you the brutal life of an officer and crime. If you are already a fan, stop everything and read this now. 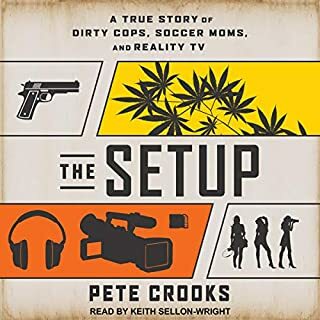 If you aren't, it may not be your thing, however, if you like crime mysteries, police procedurals, and/or gritty guys you will like this book. I bought both the hardcover and the audio book. I wasn't given anything by the publisher or anyone else to write this review nor a discount of any kind. I hate those reviews because I always felt it skewed the ratings. 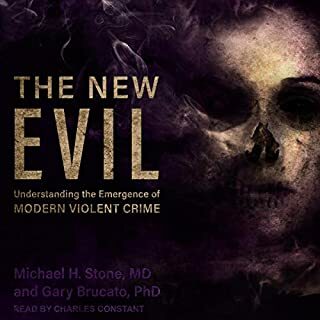 This Is an unbiased review from a customer (myself) who has no obligation, affiliation or connection with the story other than having purchased the book. I saw a commercial for Homicide Hunter and determined that I wasn't interested in watching. Yet one day, Investigation Discovery was on the T.V. and I was preoccupied doing something else while Homicide Hunter was ongoing in the background since I hadn't yet changed the channel. I found that I had rushed to judgment and found myself glued to the story. As I listened to Lt. Kenda, I felt as though I was listening to stories from an intelligent man who reminded me of a grandfather figure. He can seem a bit dry or cold at first but has a good sense of humor, and is very wise, not to mention passionate about his former work as a policeman. I became an instant fan. 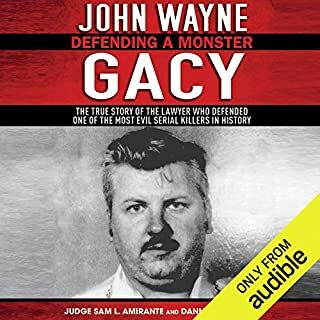 The audio book is read by Lt. Kenda and has the same feeling of the show. If you watch the show, Lt. doesn't use a script, so for the first chapter, it sounded unusually rehearsed. However, as he proceeded to speak about his life, it became more relaxed. I found myself listening intently to everything he had to say. I couldn't put it down. I had listened to the entire book the day of its release. I had initially anticipated it being more of a detailed analysis of all of his cases. While he touches on many cases, he doesn't detail all 387. I was left wanting more, although there is no shortage of details regarding what is addressed. Hopefully, this opens the door to a second book. Of course, he spoke of his family and experiences and that enriched the story. It is a memoir, after all. There is some profanity as well as gruesome details regarding the murders or abuse of children and other assaults. It is not for the faint of heart. 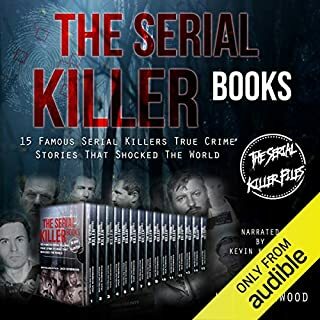 He also covers topics like crime scene investigation, interrogation techniques, and his haunting nightmares, among other things that you'll have to give it a listen/read to find out. As usual, the Lt. tells it how it is and doesn't shy away from anything. I thoroughly enjoyed the book and my largest complaint is that there are no book signings in my area but that's neither here nor there. I'm very pleased with this purchase and you will be too! 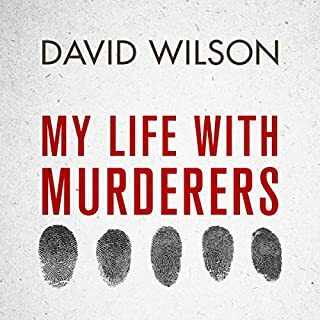 Worth the read/listen for anyone fascinated by true crime. 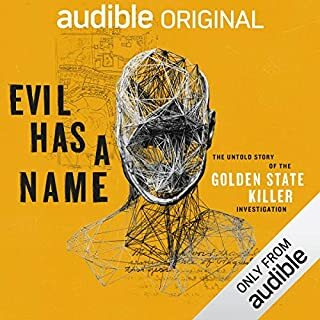 I Purchased this book as an audio book. It is by my standards, the only way to understand it correctly. The voice of Joe Kenda, accents his life and experiences like it could only be done. I will listen to it again I am sure. There is something to be learned and taken away from this mans life experiences. I would strongly recommend bracing yourself. I would go from tears rolling down my face to laughing out loud. An emotional rollercoaster. Very nicely done Joe and thank you so much for sharing your life stories. Would truly enjoy meeting you and just getting another life lesson. 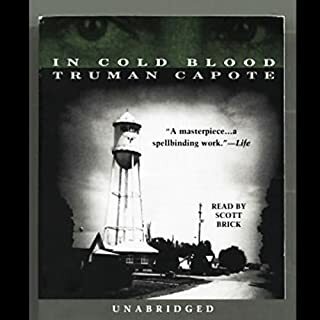 This book filled with true and terrible crime turned out to be a great read. 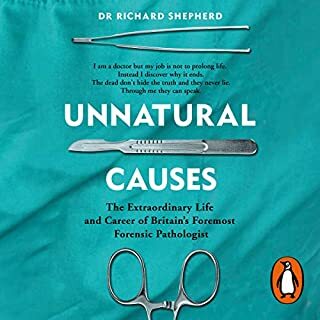 I'm so glad that the writer narriated the book himself and included light hearted comments to ease the sadness of the cases he worked. I especially liked his inclusion of his wife and how she managed to keep the marriage together. She, too had a demanding job. Murder kills more than the immediate victim. Speaking from experence the murderer destroys the entire family along with friendships. There is never just one victim. A GREAT LISTEN - OUTSTANDING! I am a lover of true crime books. I WILL FIND YOU gives the listener a very rare intimacy with the author. 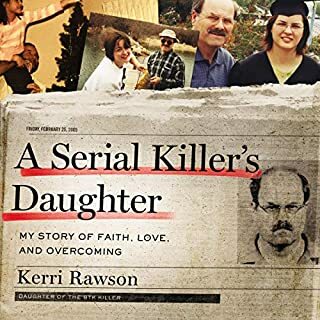 This is one of my favorite true crime books I have in my library. It was impossible for me to put it down. Not ever seeing Lt. Kenda's television show, I was not sure what to expect nor did I have any prior bias. But 'true detective' stories are intriguing and as someone who lived in Colorado Springs, I just had to give it a listen. It was a difficult as Lt. Kenda's story telling style with his cadence, inflections, and language (sarcasm) interfered with the stories ... in the beginning. I persevered since the stories were based in the Front Range and then ... he grew on me. By the end, I wished the book was longer and I hope there is another in the works. I now may have to start watching his TV series. Thank you, Lt. Kenda, for your service and making Colorado Springs safer. Great listen, wish it had been longer. Hope he brings another book out soon. It was a very enjoyable and interesting read. An authoritative account of the dark, and bright, side of life. An honest and brave self-evaluation. I especially enjoyed the contrast of working with evil and then special needs kids. Finally, the anecdotal ending (the tank delivery) moved me to tears. Been in contact with Joe Kenda via e-mail for over 2 years! He sent me a signed pre release hard cover copy! 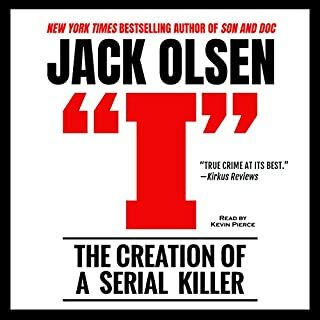 Bought the audio book- just raised the book another level! 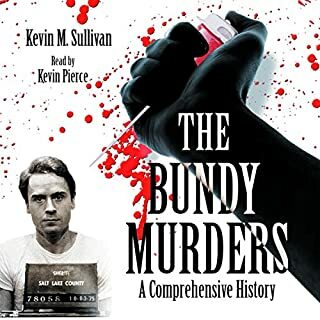 I've been a Homicide Hunter fan for a while and was so pleased to hear this audio book. 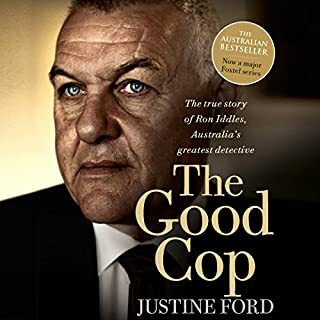 It was extremely insightful and delved into the more horrific crimes Lt Kenda dealt with during his police career and his more personal thoughts and feelings. As stated, I was enthralled from start to finish! I would also like to say I enjoyed his telling of the story very much. He has such a pleasant and calming voice. I look forward to his next audio book. 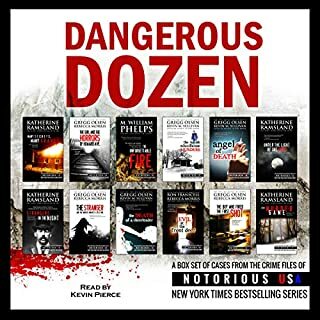 Love this audiobook what a interesting life Mr kenda, your voice over is perfect, I am hoping you make another one I am sure you have more up your sleeve....!!!! More detailed and personal than the TV show, with plenty of Joe’s trademark humour and cynicism. We even get to ‘meet’ Mrs Kenda and the kids. Finished it in one session and will probably listen again. 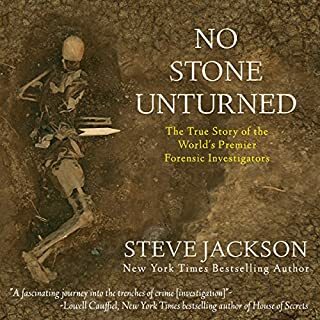 My no.1 book on audible. Loved it! More detail and meaning than Homicide Hunter TV series. Joe does a great job at narrating. God only knows how he copes with the gob smacking events described. Did not realise how bad some people are. 3rd time listened to in a week. Still thinking about what the grandad said to Joe on his last day.. what a sick s.o.b!